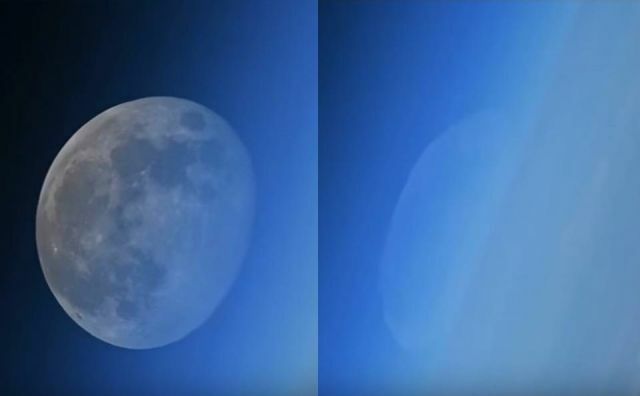 Russian cosmonaut Oleg Artemyev posted a video of a disappearing moon on Saturday. He filmed the interesting natural phenomenon, called a moonset, from the International Space Station (ISS). Watching the footage it looks really odd, the moon appears to be distorted and turns completely blue.